This information is a compilation of information from MWGS members and will be updated as additional information is received. Take vacation in warm climate! 1st Week – Plant Cannas outside as soon as soil is soft enough to work. Start heirloom tomatoes and basil seeds inside. 2nd Week – Plant Calla Lilies outside. Apply Preen on garden areas where annuals reseed. 3rd Week – Plant Gladiolus outside. Transplant heirloom tomato seedlings into 4” pots. 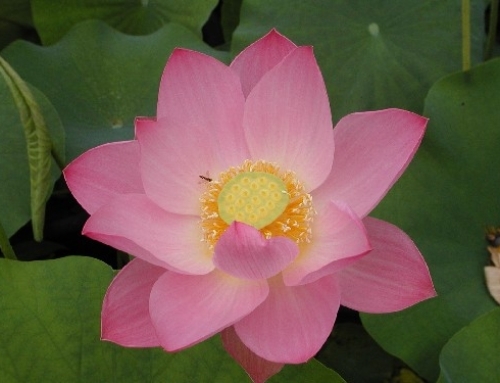 4th Week – Divide Lotus and Water Lilies. Move hardy water lilies to pond. Clean pond, add plants when temperature is right, add bacteria. 4th Week – Plant seeds in garden for squash, pumpkin, zinnias. Plant Voodoo Lilies, basil in garden. Apply 10-10-10 fertilizer to garden. Mulch garden with shredded pine bark or coco bean hulls. Check placement of labeled stakes and make new ones as needed. Spray Hostas after they leaf out with Liquid Fence, Deer Off or Repels All to deter rabbits. These last 2 months. Start dividing non Martagon lilies (Asiatic, OT, LA, etc), replant desired quantity and pot balance for plant sale. 3rd Week – Dig Giant Taros before first frost and pot them in 19” pots. Put them back in their hole and put sheets on them in case of light frost. When hard frost is likely, put them on dollies and roll them in and out of garage as temperatures permit. 4th Week – Dig and divide Jack-in-Pulpits before leaf drop hides red berries. Remove berries and give them away or disburse in natural areas. Remove seeds of other native plants (Eupatorium, Actaea, New England Asters, etc) and give them away or distribute in natural areas. Before first frost harvest heirloom tomatoes, squash, pumpkins. Harvest potatoes when vines turn yellow. Harvest hard neck garlic when bottom two leaves turn yellow. Donate green tomatoes to food shelf. Clean leaves out of pond. Move plants to deep water. Drain and clean pond. Take fish into home aquarium. Put Lotus and Water Lily tubs on dollies in heated garage. Take pond frogs to local natural pond. Prepare pond for winter. Remove large pump and set up small pump for air exchange. 1st Week – Dig Dahlias two weeks after first frost and dry in garage. 2nd Week – Begin dividing Dahlias in garage and allow them to dry before individually wrapping each in plastic. Begin packing away Calla Lilies, Peruvian Daffodils, Gladiolus in cardboard boxes . Pack Caladiums in paper bags. 4th Week – Move surplus potted perennials for spring plant sales into heated garage before snow. 1st Week – Finish dividing and packing away bulbs, tubers, corms and rhizomes – hopefully before Christmas!